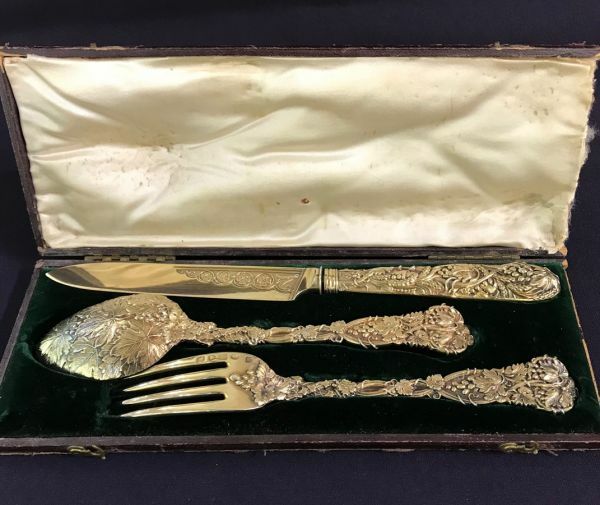 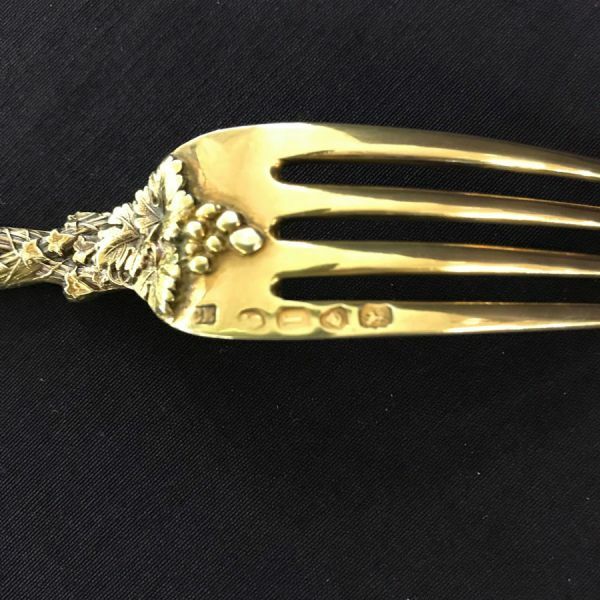 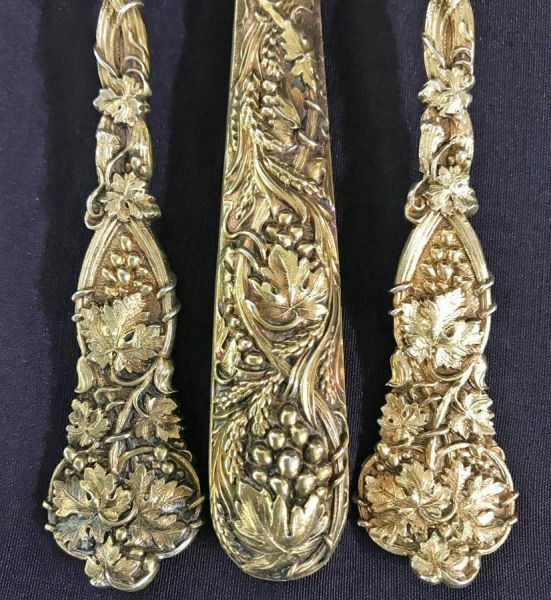 George IV boxed Vermeil (gold plated sterling silver) Christening set, comprised of one fork, knife and spoon. 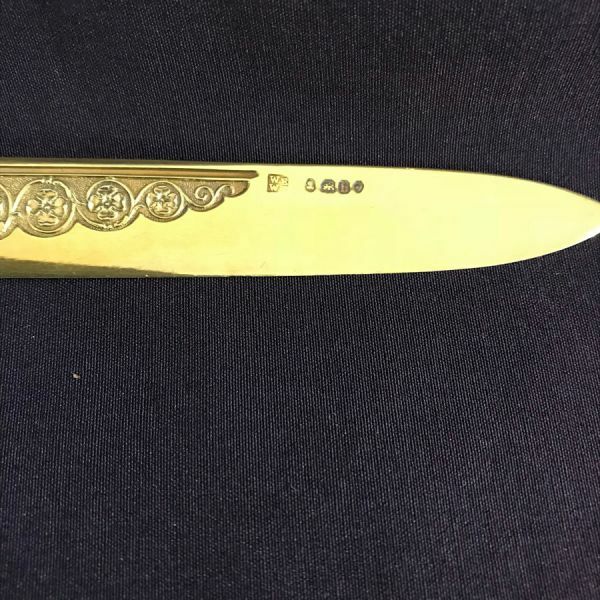 The knife is 8 1/2” long. 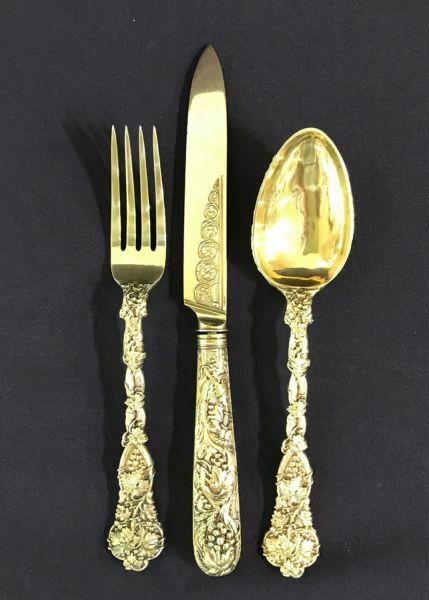 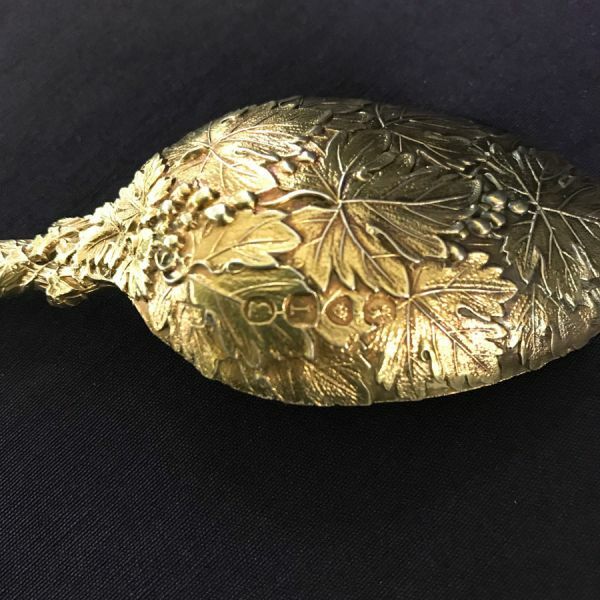 The fork and spoon are marked Charles Eley, London, 1826. 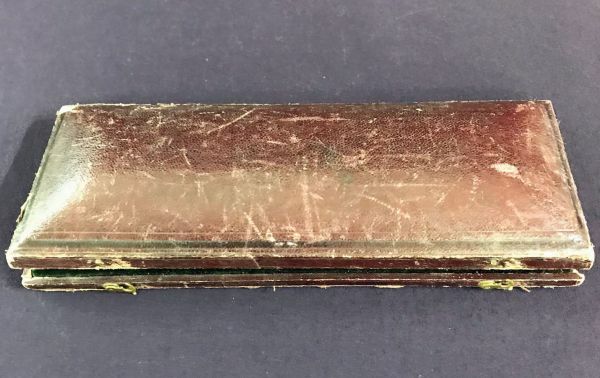 The knife is William Eley & William Fearn, London 1823.